Resolve Optics Ltd. is a leading supplier of bespoke mounted relay lenses that offer superior performance in a compact package. 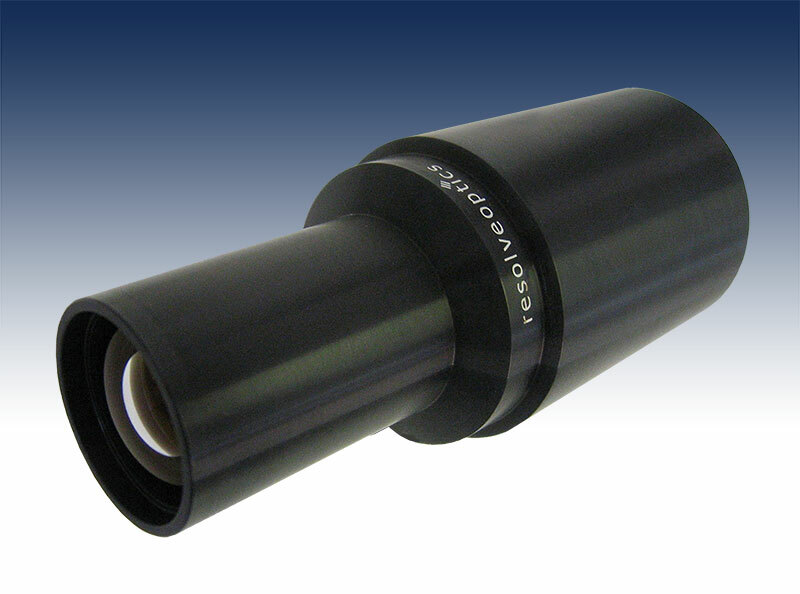 Working closely with instrument manufacturers – Resolve Optics designs and builds optimized bespoke relay lenses for imaging applications including microscopy, inspection and electronic imaging. Relay lenses are used to collect an image from one place to another. A typical example of an application where a relay lens is required is obtaining an image from an image intensifier. An image intesifier will typically have an image plane that is on the back of a piece of glass or on a fibre plate, in both cases it is not possible for a sensor to be positioned so that it can pick up that image plane. So you need a relay lens that can pick up the intesifier image and transfer that image to the image plane of the sensor. Mark Pontin, Managing Director of Resolve Optics commented “We were approached to design a novel relay lens to optimize the quality of image transfer from the intensifier to the image sensor of a high-speed ballistic range camera. Traditionally, most range camera designs have used two off-the-shelf lenses placed back-to-back to transfer images from the intensifier to the image sensor. However, this approach typically has produced a large amount of shading and image distortion. To overcome this limitation we designed a bespoke relay lens that was both compact and that eliminated the shading and distortion effects that degrade the quality of transferred images. The resultant novel f/2.8, 1 to 1.1-magnification relay lens has enabled the ballistic range camera to produce images with no visible distortion that are equally illuminated across the entire image area. The compact relay lens has also ensured optimal input into the microlenses on the range camera’s CCD image sensor”. To discuss development of a bespoke relay lens to improve the performance of your system please contact Resolve Optics on +44-1494-777100 / sales@resolveoptics.com.